The scent of leather, the aroma of cedar wood from a lit fire, the perfume of flowers… these are all sensory sensations that I’ve come to expect from the very best luxury hotels as I pass through their thresholds. 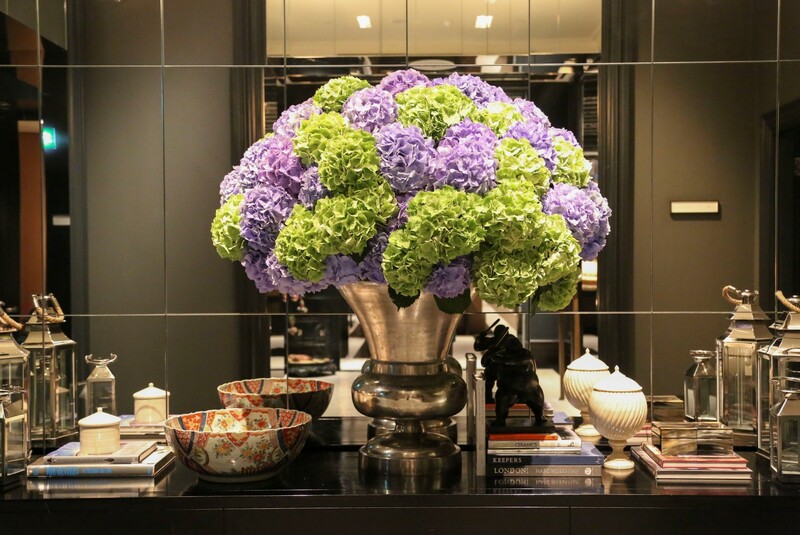 With a few select properties, however, such as London’s The Berkeley or Claridge’s, The Connaught or Rosewood London and The Grove, I’ve also learnt to expect the unexpected in terms of the fragrant flower presentations of one extremely talented individual, Kally Ellis of McQueens Flowers. This unassuming florist has raised the bar of hotel flower displays to an art form, fully exposing the power of a flower and the keen eye of a sculptor. She’s much in demand – in Oscar season, she’ll be in LA creating the Vanity Fair party’s flowers – but we caught up with Kally at her London HQ to ask her about her floral style. 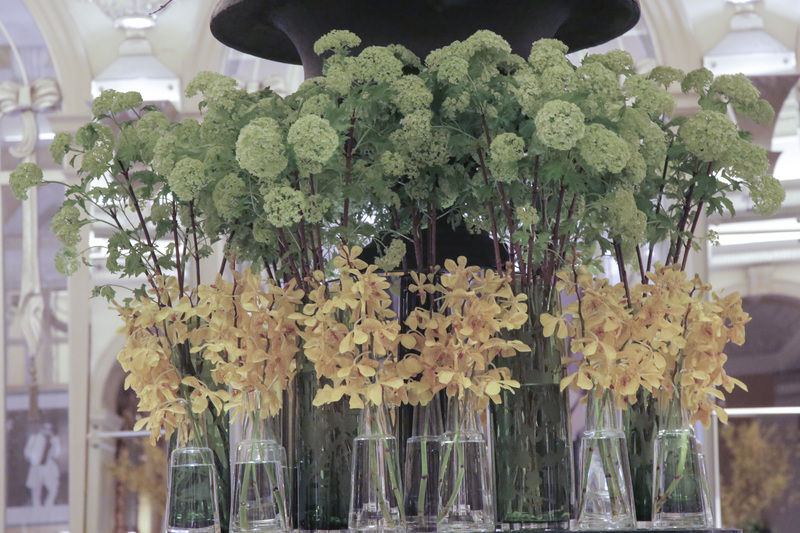 What role do flowers / floral displays play in the welcome to a luxury hotel? 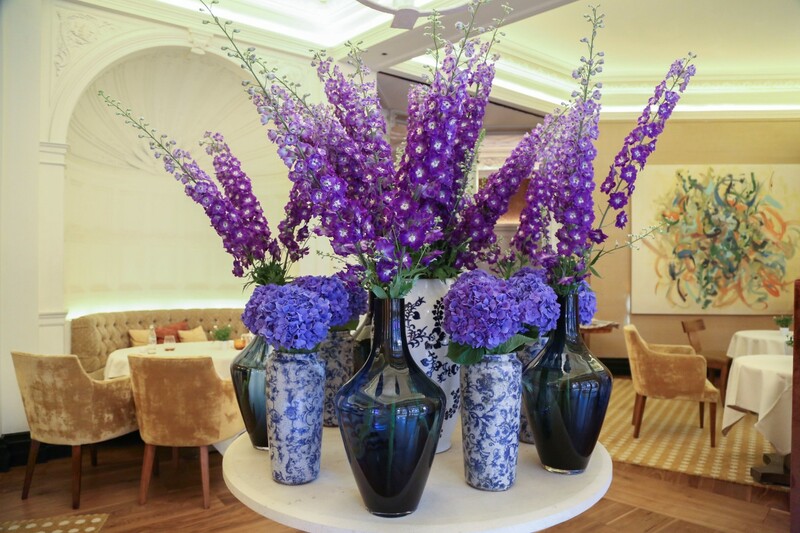 Flowers are key in the modern luxury hotel market – they make an enormous difference to public areas. The sort of work we do is more installations than just displays so they really do have to carry the ‘wow’ factor. But we always have to remember that a hotel’s public areas are multi-functional spaces; they’re there to welcome guests and impress them but they shouldn’t completely dominate either. Are there any no-go areas for hotel displays – too overpowering a scent / cannot cope with the heat/lights/touchy-feely admirers? Certainly in restaurant areas where food is being served, we wouldn’t want to use anything that was too strongly scented – it can be a little invasive if a scent is especially strong. 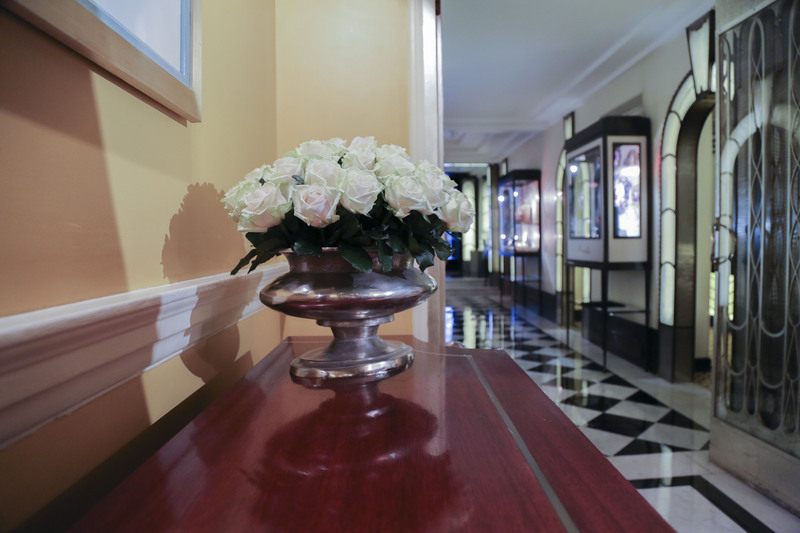 The vast majority of guests in the hotels are happy to appreciate the flowers by taking pictures; it would be very unusual for anyone to try and touch them and certainly there are plenty of hotel staff on hand to discourage that. Your flower displays are almost sculptural – what part does repetition / vases / floral architecture almost – have in the composition of a display? The structure of the displays is very important and repeated pattern/theme is something we love to experiment with. If you think about design, repeated motifs are key in everything from architecture to graphic art, so it’s not surprising that we also use this technique. Repetition and symmetry please the eye; it is inviting to look at. These techniques makes observers feel contented and satisfied and is part of our holistic, artistic approach. How do you work with the hotel – do you have free rein or are there colour requirements etc? We work very closely with each hotel because they all have different requirements. 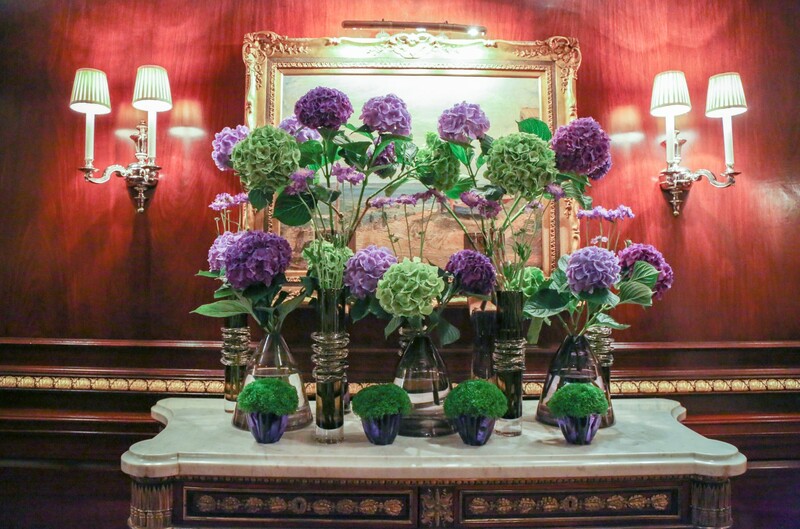 Much of what we do is dictated by the spaces we are working in; at Claridge’s for example, we have a classic art deco environment so we have to take that into careful consideration when selecting flowers and colours. 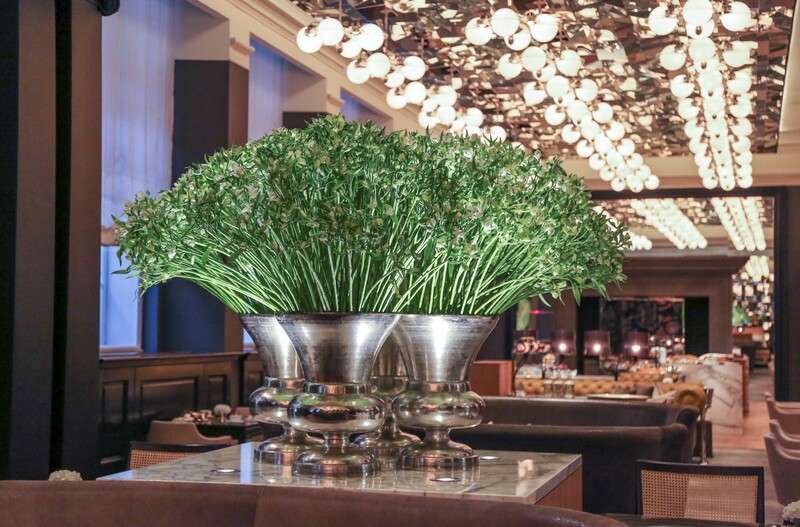 At The Berkeley, the new extension is ultra-modern, and fairly minimalist in feel, so our flowers need to reflect that chic, contemporary ambiance. But as with fashion and fine art, so much of what is created is subjective. We’re lucky to have these beautiful spaces to work on – they are our blank canvases, in so many respects. The hotels know us well and trust us enough to give us artistic licence, but we also have to remember these are working spaces; we instinctively know there are boundaries. What type of flowers / displays do you think work best? We believe in the inherent beauty of flowers and that’s what we try to show to their best advantage. That means that we will use some truly beautiful containers in our designs. It’s all a question of complementing the flowers, rather than enhancing them or detracting from them. We also have to take scale into consideration; in some larger spaces, you need size and volume to create real impact – I’m thinking about hydrangea, amaryllis, cherry blossom. But sometimes you can achieve a similar effect by layering lots of smaller flowers. We’ve done some amazing spring displays using daffodils for example, and they can look quite sculptural in the right setting and the right containers. Which display has had the best reaction and why? I would opt for bold, monochrome, blocks of colour, and choose displays with height. But we also love constructing trees made from magnolia branches and studded with hanging glass balls holding flowers. Are there any flowers that are underused or overused in your opinion by hotels? Or just not right for hotels as they have no staying power? We try to avoid ‘soft’ flowers that will need changing too regularly although most flowers in season would work well. If we feel they won’t last for a whole week we will try to replace them mid-week. We also only use flowers in season so you could say seasonal flowers will get overused in their season – peonies for instance in summer or Ilex berried branches and amaryllis in winter etc. How can you scale back to get a similar wow factor look at home? 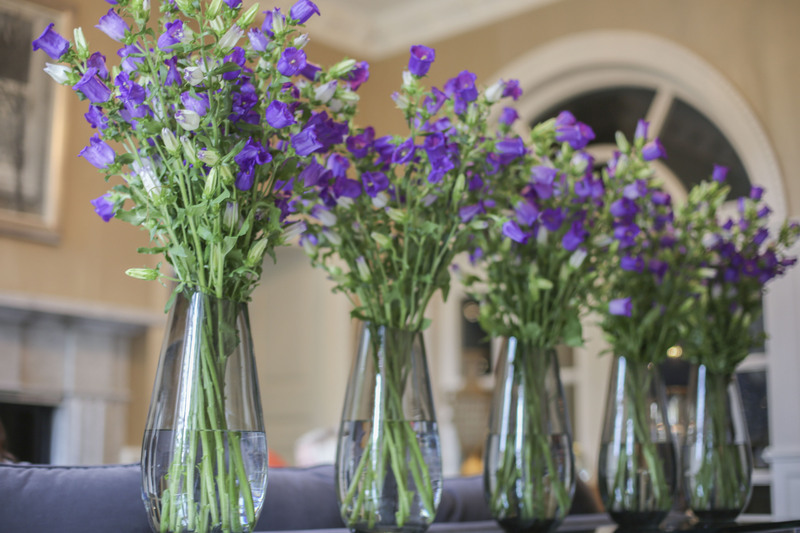 You can achieve this by using a series of bottles or small-necked vases that don’t need many stems to fill them. 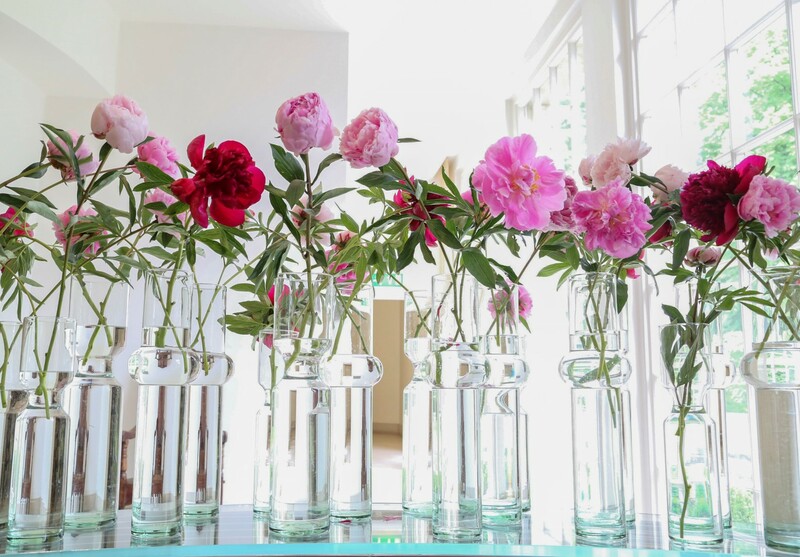 Remember anything can be a vase so long as it holds water – so utilise glass containers at home – milk bottles, jars, fragrance bottles. If you use these bottles/vases (preferably of different sizes) in clusters to create landscapes on long surfaces like the centre of a dining table or hall table or fireplace mantle, this will give the wow factor you are looking for. You can also team them with seasonal flowering plants to give more volume, colour and substance. 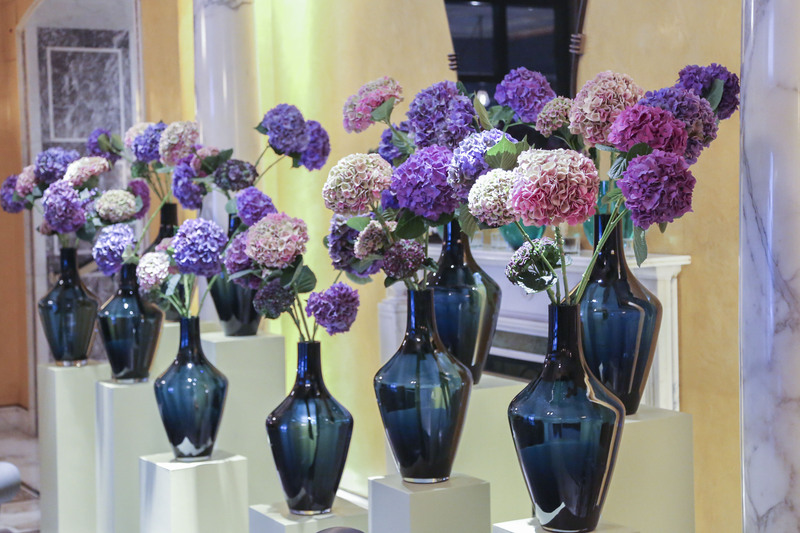 When you look at hotel flower displays in other hotels – are there any that inspire you? Are there any things that really make you mad? 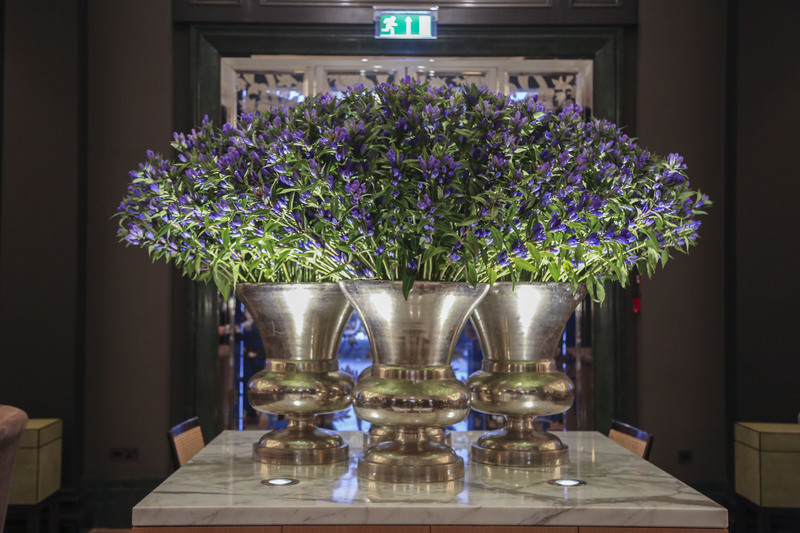 It takes a lot to impress me but there is one hotel in Paris, the George V which must have an enormous budget and the flowers are not only copious, they are simply, stylishly and cleanly displayed by their in-house florist Jeff Leatham. A definite no-no is a dead or dying flower or plant which is why we check our flowers at least three times a week to avoid this. Another no-no is using florist foam to hold the flowers – this is a very antiquated way of displaying flowers – it’s not very environmentally-friendly, either – and we avoid using it at all costs. If you want take a little McQueens’ style back home with you, Kally’s classes start at £225 for a one-day masterclass. Oh and if you are wondering about the name McQueens, yes there is a fashion connection. 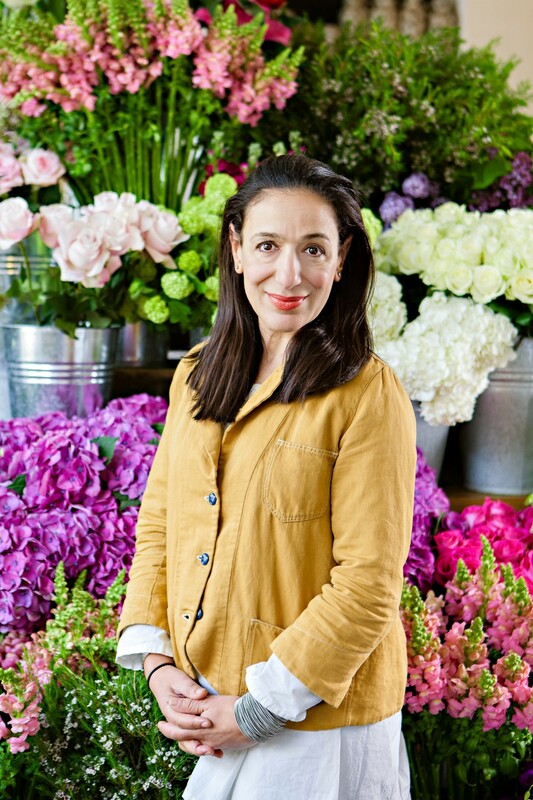 Kally took over a floral business once run by Carol McQueen (Alexander McQueen’s Aunt) back in 1990. Magellan PR is on social media: Twitter: @MagellanPR / on Facebook: MagellanPR / on Pinterest: Sue Lowry / on Google+: Sue Lowry & MagellanPR and on Flickr: Sue Lowry. For more information on our company, visit www.magellan-pr.com. Follow our other blog focussing on travel in the South of England – A3 Traveller. Follow A3Traveller on Twitter: @A3Traveller.